When I was in college, I had a dream of buying rental properties and managing them myself. It seemed like a pretty legit, time-tested way to avoid the rat race and start building wealth with other people's money. Fast forward to today – and after owning rental properties for the better part of a decade, I've found this to be mostly true… but if I could go back and talk some sense into myself, there are a few things I would explain. 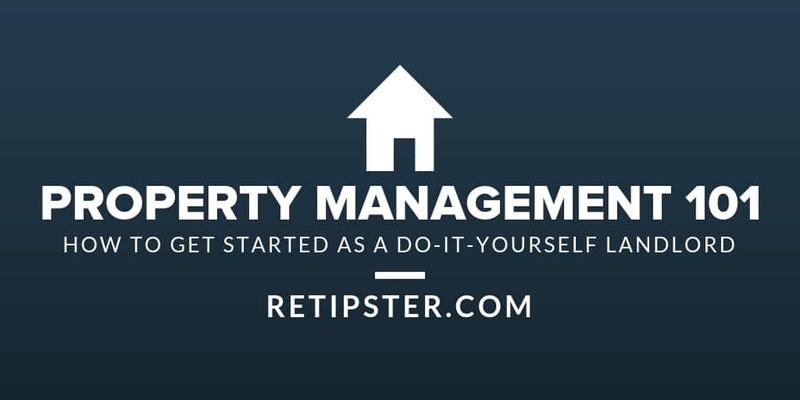 As an investment strategy, owning rental properties looks great on paper, but your ability to manage them (or find a competent property manager) is really what's going to make or break your success as a rental property investor. Being a property manager isn't so much about managing properties as it is about managing people. You need to establish and maintain good lines of communication with your tenants and eliminate the unnecessary barriers that stand in the way of you getting paid. If you don't get these wrinkles ironed out, managing your properties isn't going to be fun, and it probably won't give you the freedom you thought it would. For the most part, managing rentals can be fun and straightforward, or it can be difficult, stressful and unpredictable. If you're planning to manage everything yourself – you're going to need help. There's a hard way and an easy way. Screening tenants (if they're being screened at all). Accepting and reviewing rental applications with paper or email-based system. Receiving monthly rent payments via cash or checks in the mail. Tracking expenses and following up on maintenance requests. Listing properties For Rent in the local market. If you're trying to manage more than a few properties, with ineffective and inefficient systems – you're going to lose your mind. Luckily, there's a better way to get the job done. Screen tenants (credit reports and background checks). Post property listings in one place and get massive exposure. Accept and review rental applications on one platform. Collect rent payments automatically via ACH, credit card, debit card or pre-paid cards. Track expenses and maintenance requests in a cloud-based system, accessible from any device. There's an invaluable benefit to having a single, solid, reliable, cost-effective system at your disposal to handle these tasks. The good news is, there's a free online software (that's right, FREE – no strings attached) that can make your life much easier. I'm talking about a service called Cozy (and did I mention, it's FREE?). For the landlords who use it, it's good enough to replace the need for a full-time property manager – which can save them thousands each year. In this blog post, I'll show you how Cozy can solve a great deal of the ongoing issues you'd otherwise have to deal with as a self-managing landlord. When you think of all the essentials that landlords need to do each month, Cozy can do it. As great as the system is, it can't do everything. Cozy is specifically designed for independent landlords and self-managers who have less than 20 units. However, it can still work well for up to 100 units (after 100, it starts to get a little confusing). Note: If you're looking for a service that's not free for the landlord, but offers the kind of features needed to manage 100+ rental units, you might consider an alternative like Buildium. I think what's most important about Cozy is the fact that it's intuitive to use, and it just works. It's user-friendly for the tenant (if they can open an email and use a keyboard or mobile device, they'll do just fine). It's easy for the landlord (you can literally manage your entire rental portfolio from a mobile device). Free for the landlord (no matter how many properties or tenants you have, the landlord pays nothing). Robust features and functionality (comes with every practical tool a landlord could want). If you're managing your own rental properties, I'm honestly not sure why you wouldn't be using Cozy. Let's get into the specifics of how Cozy works. When you own a vacant rental property that you want to rent out, the first step is to let the world know the place is available for rent. Cozy has some of the most beautiful, mobile-friendly real estate listing formats anywhere on the internet (I'm not exaggerating!). Most landlords will start by advertising their properties for rent on websites like Craigslist, Zillow or HotPads. These can certainly work… but it's also an ongoing job to constantly manage and renew these ads on multiple platforms (not to mention, some of them are cumbersome to work with and can even remove your listings with no warning). If you'd rather manage your rental listings from one place, Cozy is a great way to go. What's even better, is Cozy syndicates their listings with other major websites like Realtor and Doorsteps (Cozy is one of the few sites – maybe the only one – that allows independent landlords to get their rental listings on the MLS via Realtor.com). You can also simply use Cozy as the place to host your listing, and then share the URL wherever you want (post it on Facebook, Twitter or LinkedIn, text it to a friend or email it to everyone on your list). This gives you more control over who is looking at your rental property – which can be very useful in some cases. Since Cozy does such an effective job at hosting your rental listings, you may even find that it's completely unnecessary to build your own, separate real estate website for your rental portfolio (why re-create the wheel – right?). Once you activate your listing, you can start accepting applications through the listing itself. This makes the application collection and review process much simpler, because every application you receive (along with their background checks, credit reports, and all other related information) is kept in one place, and you don't have to shuffle through papers or search for it in your email inbox. Want to get started with Cozy? Click here to learn more! One of the biggest innovations Cozy brings to the table is with tenant screening. When you start getting applications from potential tenants who want to live in your property, something you'll want to do as part of your screening process is get the applicant's credit report and a background check (to make sure this person has a history of paying their bills and NOT committing any felonies). Getting this kind of information has never been easier than it is with Cozy. Go to this page, scroll down and click on Request Screening Reports (if you don't have an account yet, sign up – it's worth it). Select which report(s) you want to generate. Type out the first name, last name and email address of the applicant. Enter your free account information (it takes less than 10 seconds). …and Cozy will handle the rest. As you can see, the website is beautifully designed and very easy to follow (for both parties). If you know how to use a computer and check your email, it's basically impossible to get lost or confused during the process. For the person requesting the credit report (i.e. – YOU), it doesn't cost anything… which is an amazing thing. The reports are clean, concise and easy to read. You don't have to be a banker or finance professional to understand what you're looking at. If you want to use the service to handle other aspects of your rental property business (e.g. – property listings, finding tenants or payment collection), it can do a lot of other stuff too. And when it comes to credit reports, there's another important thing to keep in mind. When most conventional lenders and creditors “pull credit” on their applicant, it’s usually a one-sided transaction that has no involvement from the tenant or borrower. As a result, it lowers the applicant's credit score with every inquiry (this is why they call it a “hard inquiry”). However, Cozy DOES involve the applicant in this process (as shown in the video above) and as such, the credit bureaus treat it as a “soft inquiry”, which doesn’t ding their credit with every inquiry. It’s treated the same as if the applicant pulled their own credit – which they don’t get penalized for. Being a property manager isn't just about finding the right tenants and taking care of properties, it's about maintaining an ongoing relationship with each renter. One way to reduce the constant strain of requesting rent and waiting for payments to come through is to put the whole rent collection process on autopilot. With Cozy, each tenant can specify a credit card, debit card or checking account where their monthly rent payments will come from. This is FAR better than forcing tenants to write a check and drop it in the mail each month because it speeds up the process and makes the payments come out automatically – so nobody has an excuse for “forgetting” to pay on time. In this day and age, Cozy certainly isn't the only way to process rent payments online, but it is one of the few options that costs nothing for the landlord AND is accompanied by several other highly useful tools that landlords are going to need anyway. Cozy also offers some helpful organization tools to help landlords track maintenance requests and other ongoing expenses, and even generate rent reports in the nearby vicinity (to help you make sure you're asking the right rent price for your units). Cozy continues to add new features to their system as well. It's an online software service that is likely to continue improving as the years go by. Property Management is NOT for Everyone. Even with a service like Cozy at your disposal, there are still going to be aspects of rental properties that are difficult, annoying and somewhat miserable to deal with. If you really don't want to get your hands dirty with property management, that's okay. How much you care about the job being done to your standards. How much you enjoy (or hate) dealing with tenants, toilets and termites. I'm not saying you should or shouldn't be a self-managing landlord, but if you do want to handle these ongoing tasks yourself, it's hard to think of a compelling reason NOT to use a service like Cozy. Even though it doesn't solve all of a landlord's problems, but it does handle some pretty important ones, so you can focus your time and energy on things that are far more important in the ongoing operation of your rentals. Have you ever used Cozy before? How was your experience? Let us know in the comments below!